Update, October 25: Some much-anticipated Operator reworks and other improvements are here in Rainbow Six Siege’s mid-season reinforcements. The latest set of mid-season reinforcements for Rainbow Six Siege are here, offering operator reworks, a new Elite skin for Jager, and the promised network improvements designed to prevent ping abuse. Here’s what to expect. Check out our list of the best Rainbow Six Siege operators. 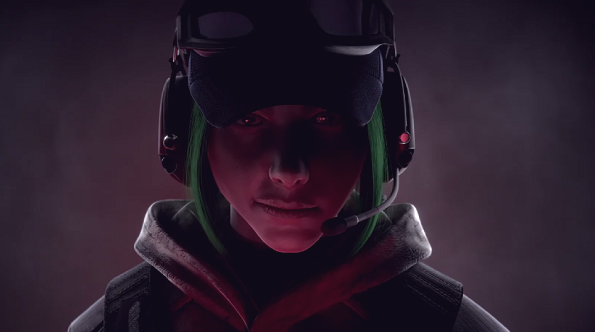 Ela is getting some long-awaited nerfs in response to her high pick and win rate, as she’ll now carry one less mine and the recoil on her SMG has been increased. Blitz will now have far greater potential for, well, blitzing, as he’s now able to sprint with his shield raised. The trip laser on Kapkan’s traps now quickly disappears after deployment in response to players figuring out not to walk into glowing red things. But to offset that advantage, the mines are no longer instant kills and instead deal 60 HP damage. Additionally, Kapkan is now rated at 2-speed instead of 1-speed. The Jager Elite set that was teased last week is also in the update, in addition to the first set of network and ping fixes. That includes latency alignment, pawn-to-pawn physics, general hit validation improvements, and interface changes designed to more accurately represent ping and server latency in-game. The last major gameplay change is a difference in how Renown is gained from Situations and Lone Wolf Terrorist Hunts. Renown is now earned based on the time spent playing instead of the score at the end of the game, which is intended to deter hacking. But that does mean Renown won’t scale based on difficulty or win/loss records. All that plus a whole lot of bug fixes, which you can check out the full details of in the official announcement. Original Story, October 16:Rainbow Six Siege’s mid-season reinforcements are scheduled to launch next week. According toMatthew Szep, community manager for Ubisoft’s tactical shooter, the reinforcements for Operation Blood Orchid should arrive around Wednesday or Thursday of next week. Mid-season reinforcements are important to the ongoing balance of Rainbow Six Siege. They’re often the home of major operator overhauls, as well as various other buffs and nerfs. Major focus this time around is expected to be on Blitz, but some tweaks to Kapkan are likely to make it into the update too. A lot of attention is also expected to be paid to bug fixes. Despite Operation Health, which aimed to polish up the game, there are still a lot of bugs plaguing the game, and a significant part of the mid-season patch will be on polishing up some of those. It’s possible that the changes to recoil that Ubisoft have been discussing recently could be arriving in the patch, but it’s more likely that those will arrive some time later, as fixing various bugs and exploits seems to be a more important issue.